Dahab is the Arabic word for ‘gold’ and this pretty much says it all. This stunningly beautiful little Bedouin village nestles between the sandstone and granite mountains of the Sinai peninsular and the turquoise waters of the Red Sea. It offers something for everyone. For the active and adventurous there is scuba and freediving exploring the depths, windsurfing and kitesurfing above the waves, and trekking, jeep and camel safaris, desert dinners, horse riding, quad biking, climbing and even sand-dune surfing in the desert. For the peace-seekers, there are endless days on the beach, amazing body-work therapists and healers, yoga, meditation and the silence of the desert. 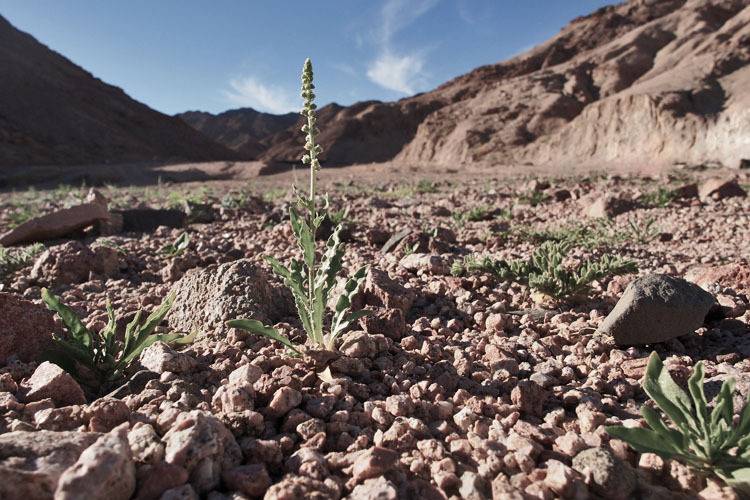 Sinai is the setting to some of the most powerful stories in many of the worlds’ main religions, and this history and energy carries through to the present day. It is impossible to stand on top of Mount Sinai, between the church and the mosque, looking out over the expanse of mountainous desert stretching to the very horizon, and not feel moved by the devotion of the people who have protected and taken care of this sacred site that has brought hundreds of thousands of pilgrims and tourists here over the centuries. Dahab is home now to a wonderfully warm, welcoming mix of people; the native Bedouin sharing their home with Egyptians, Saidis, and other Arabs, as well as thousands of people from all over the world. People come here – and very often stay – because Dahab offers a unique blend of genuine warmth and hospitality, year-round sunshine, the wilderness and silence of the desert and the vibrantly diverse ecosystem of the ocean, creating the perfect playground and place to switch off from the stress of daily life. The moment I arrived here it felt like home, due in part to the natural beauty of the place, in part to the warmth and friendliness of the local hospitality. I also love that it offers peace and exhilaration in equal measure and provides the playground and freedom for me to express myself through activity and nature in a way I haven’t experienced anywhere else. I love Dahab for its authenticity, beauty, chaos, cultural diversity, nature and peace. I hate the cruelty to animals, and the lack of rubbish collection and recycling. But I weigh up the balance, do what I can, where I can, and in general feel blessed to be a part of this magical community. 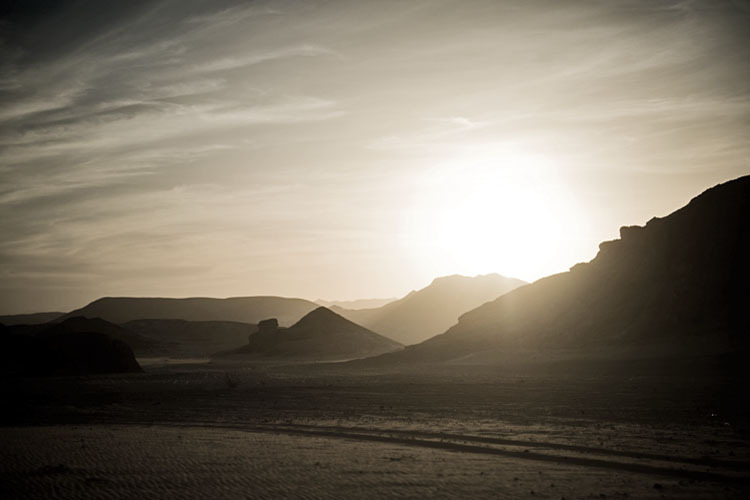 I never thought a desert would exert such a strong charge over my emotions or my soul, but the first time I drove deep into the desert of Sinai I felt moved beyond words. A constantly changing landscape and colours, sand into granite, basalt into shingle, red into yellow, into black, into orange. I love the desert as much as I love the ocean. The two hold equal sway over my devotion and I feel equally at home within each. I can be moved to tears during an early-morning freedive along the reefs, through clouds of bright orange fish, feeling particularly blessed if I spot my personal favourite, a masked puffer (the babies are especially cute! ), and I can find myself unintentionally holding my breath as I stand at the top of a mountain with my dogs, with nothing around me other than earth, light, space and silence. We are happy to offer you opportunities to explore our teaching with anything from a 90-minute yoga class, to a two-week personalised retreat designed to help you take the next step in your life towards freedom and happiness. We offer yoga, meditation and pranayama classes, private sessions for healing and yoga therapy, yoga and meditation workshops and longer retreats. 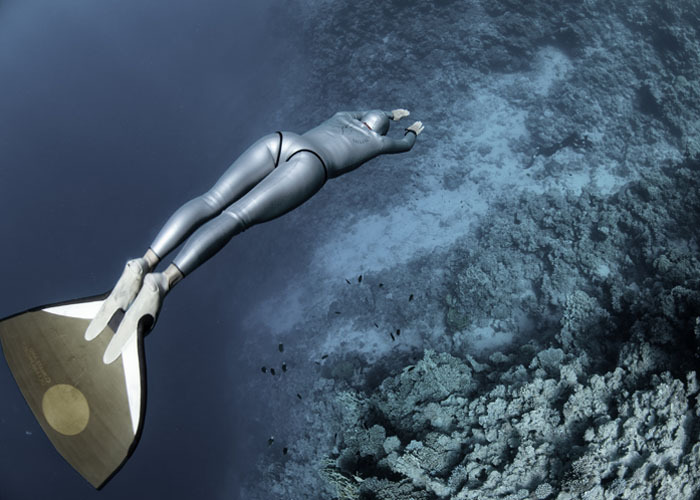 Our freediving programmes from two days up to two weeks invite you - as a beginner or experienced freediver - to go deep within and explore your potential. We are delighted to create programmes just for you - including freediving, yoga, meditation, and breathwork, in the ocean, the desert or both, as well as plenty of time and space to disconnect from the outside world, in order to reconnect with your inner one. Contact us to organise the experience that your soul needs and deserves.